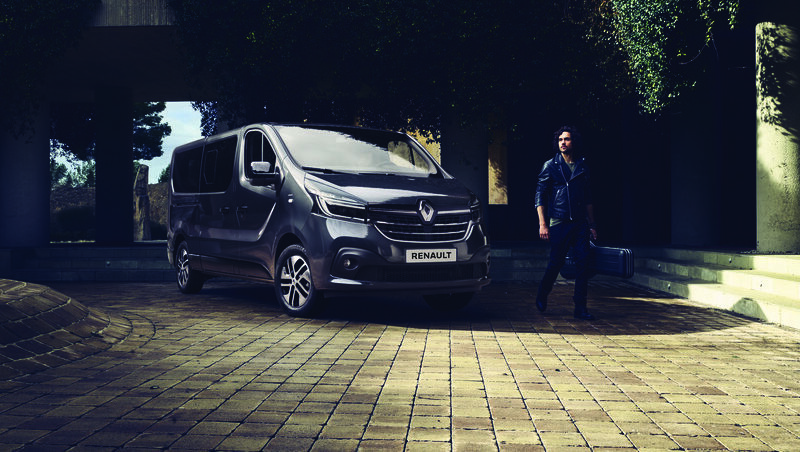 European number one in LCVs (Light Commercial Vehicles) market for the past 17 years, together with strong positions in South-American and African markets, Renault is moving into higher gear on the global market with a clear ambition: grading Renault LCV as a European brand from top regional player to a top global player. 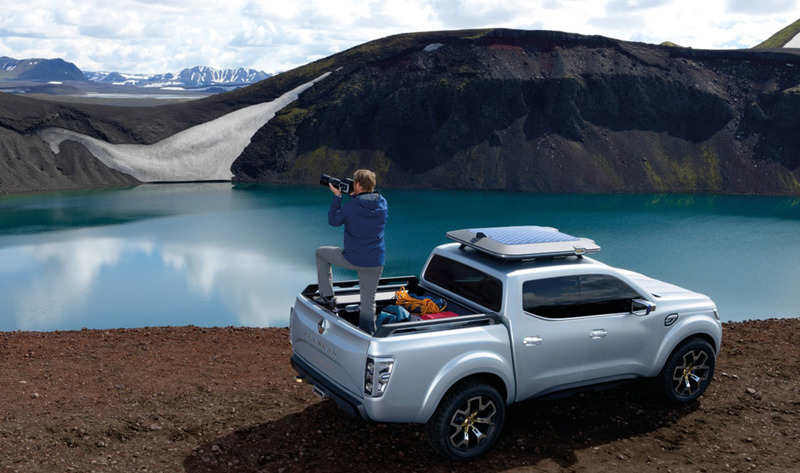 In order to achieve this ambition, Renault is entering the pick-up market, a segment that accounts for almost one-third of the global LCV market. 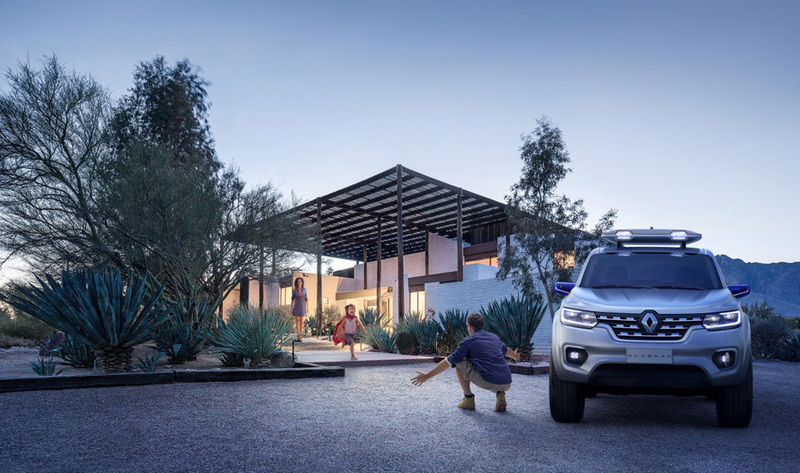 The brand is launching two distinctive vehicles: the South American Renault Duster Oroch, presented in June 2015 in Buenos Aires, Argentina, and the Alaskan Concept unveiled today, an impressive show truck heralding a vehicle with global ambition. 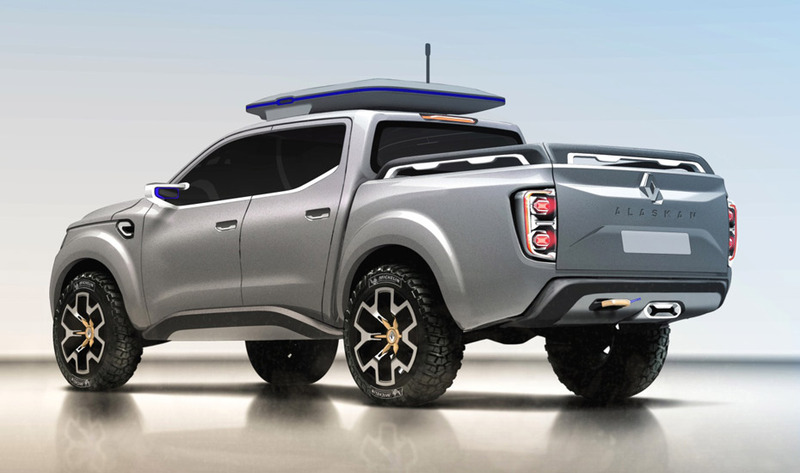 An impressive show truck heralding a vehicle with global ambitions, Alaskan Concept is a pick-up with a payload of one ton, cutting-edge and athletic look, adapted to demanding needs of both individuals and professionals. 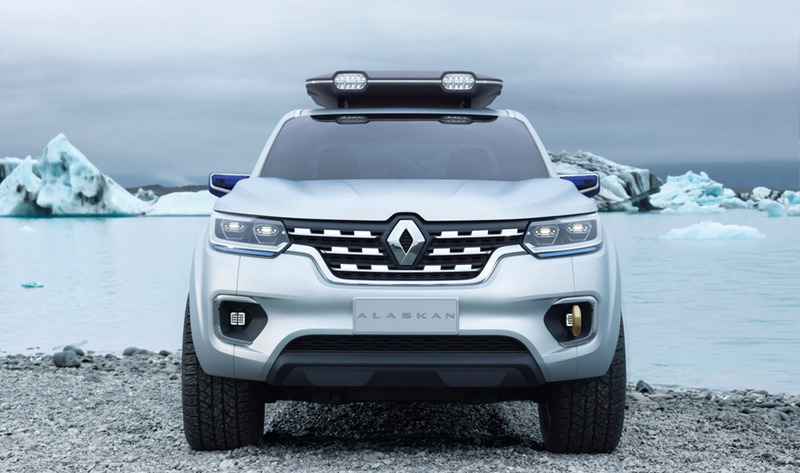 Alaskan Concept is a robust and statutory vehicle, in tune with the aesthetic rules of the pick-up segment, together with the design cues of the Renault range. 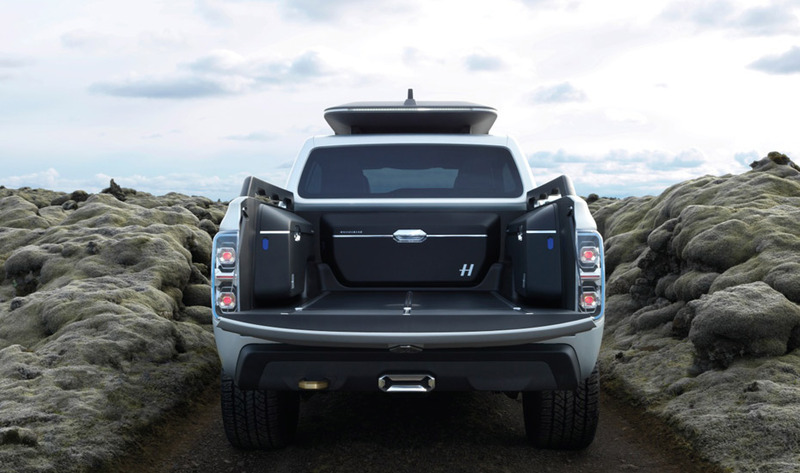 its visual universe is inspired by refinement, as well as robustness, sophistication and technicality. 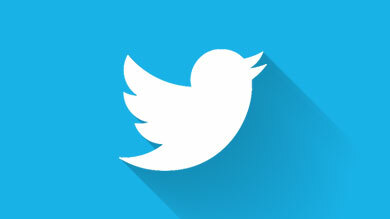 a full LED light signature. 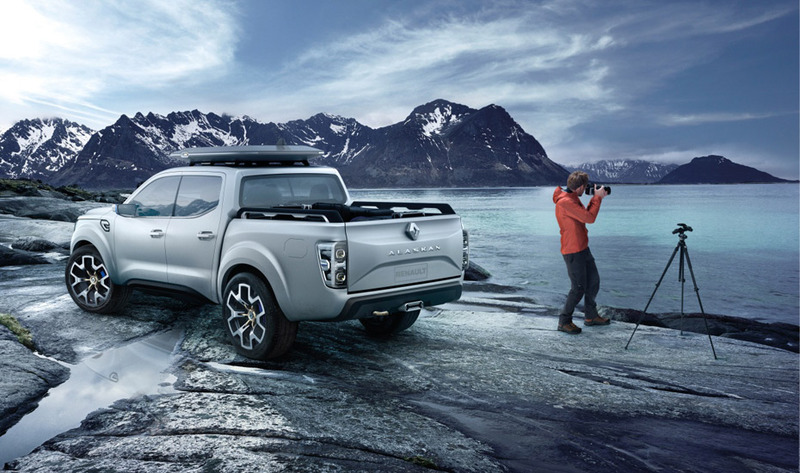 In terms of design, Alaskan Concept is strictly sticking to the rules of the pick-up segment: stunning dimensions, visual impression of power and sturdiness. 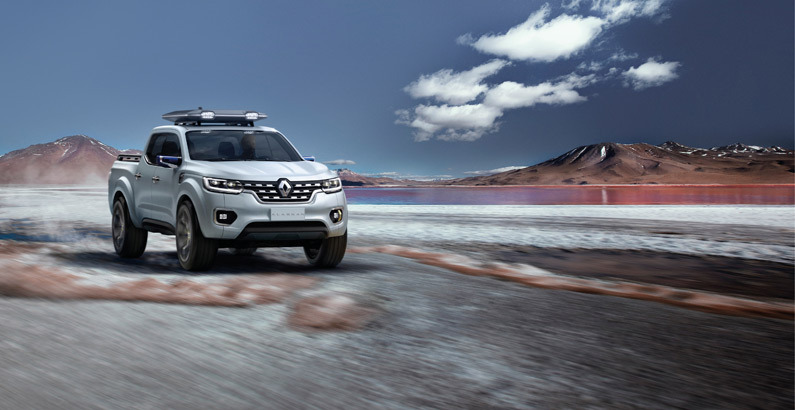 And we have added our specific Renault touch, with this appealing and statutory front-end. 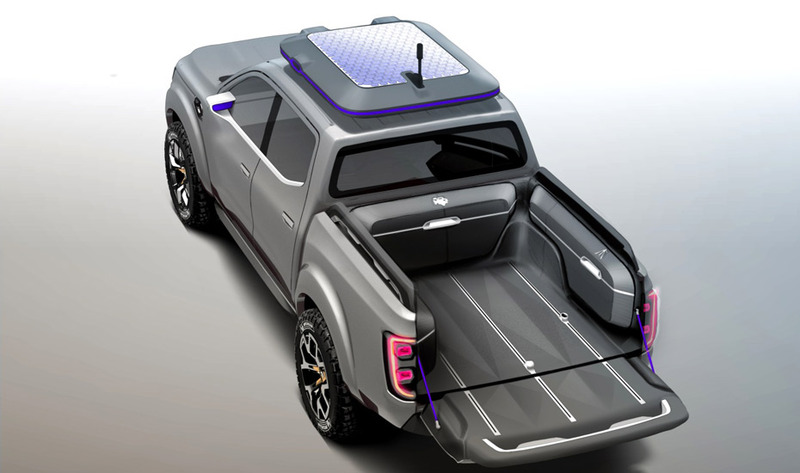 A one-ton pick-up coming soon, that will be close to this show truck, designed in the same spirit as Alaskan Concept, using the same dimensions, offering a large range of body types and powertrains, a top level pick-up for professionals, together with leisure and personnal use, capitalizing on Renault’s VP know-how in crossovers (Captur and Kadjar). 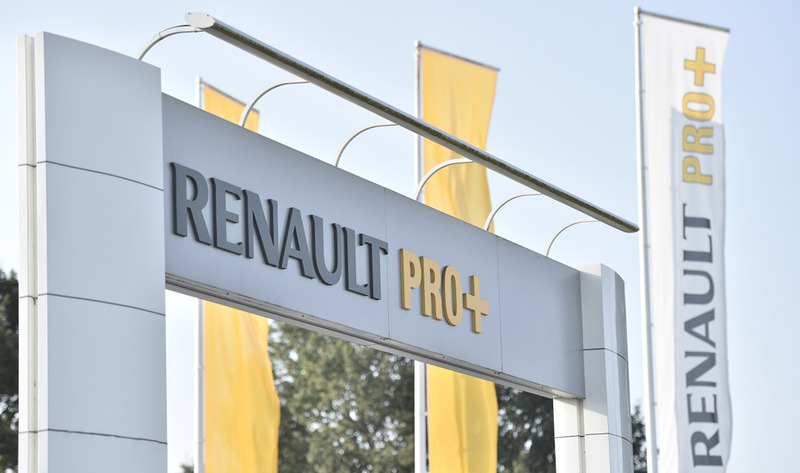 Together with its offensive on products and markets, Renault is launching Renault Pro+: its worldwide expert brand dedicated to buyers and users of Light Commercial Vehicles. 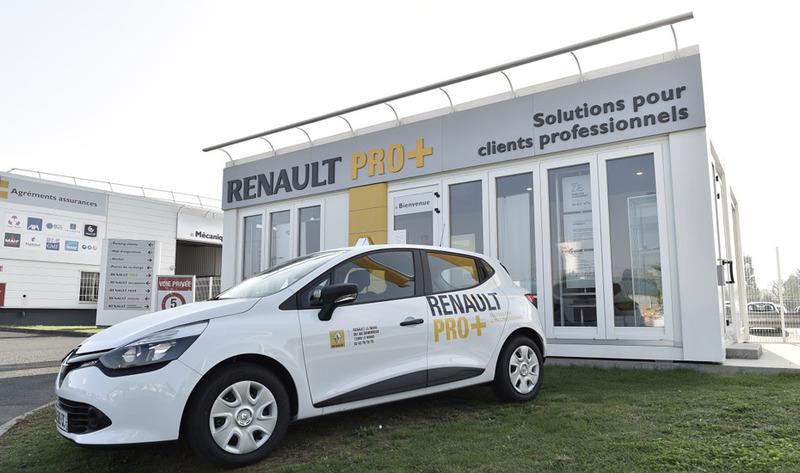 Providing tailor-made products and services through a specialist network, Renault Pro+ offers a rewarding experience at any possible touchpoint of the professional customer journey, from advertising to aftersales relationship. 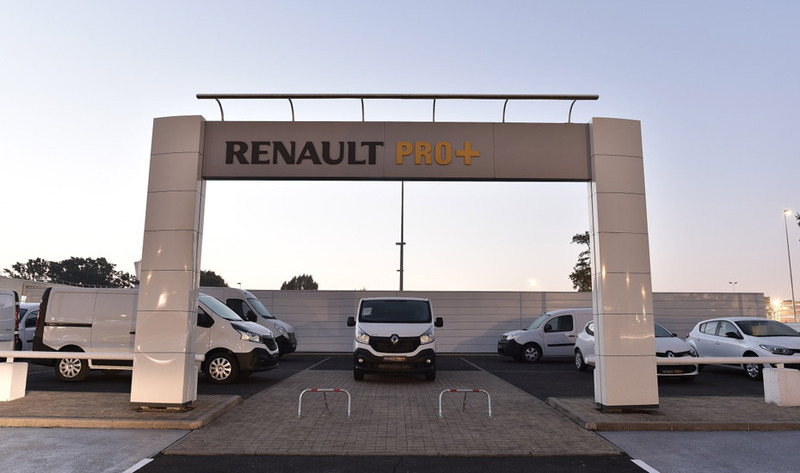 The Renault Pro+ expert brand thus embodies Renault’s customer promise and its ambitions on the global LCV market. We are now equipped to move-on on (?) 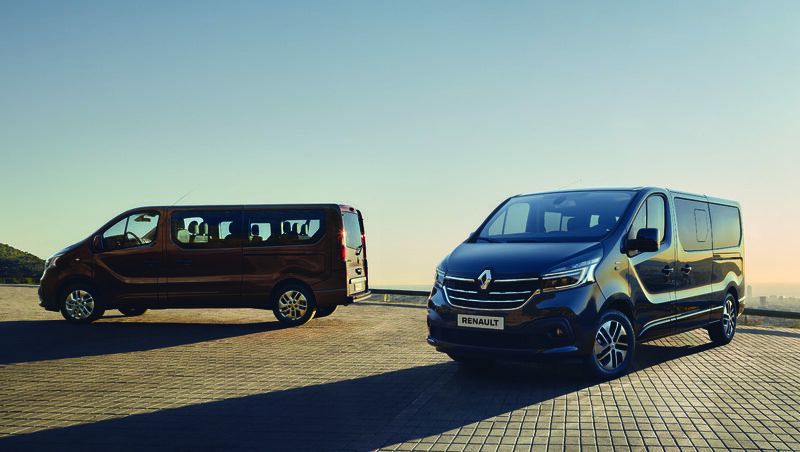 our Global Growth Plan to fulfill the aspirations of professional and personal customers with our enhanced product line-up, new service offering and enriched customer experience in the global LCV market. Professional customers have specific aspirations and the brand should breathe and live with these aspirations. 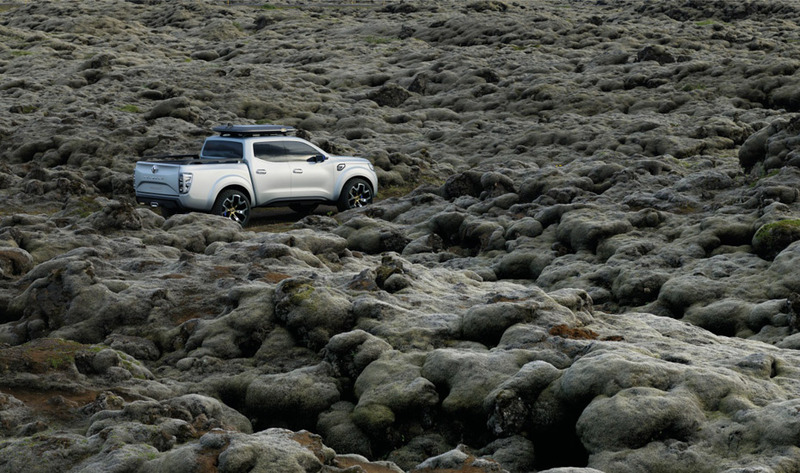 Building an expert brand gives Renault the opportunity to specifically integrate them in terms of engagements and communication, easily recognizable. 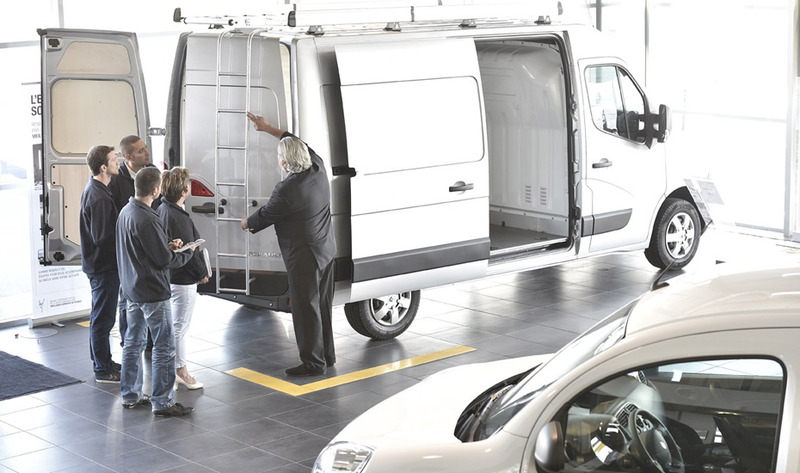 An expert brand also expresses the legitimate consolidation of “LCV Core Competencies” at every customer touchpoint. 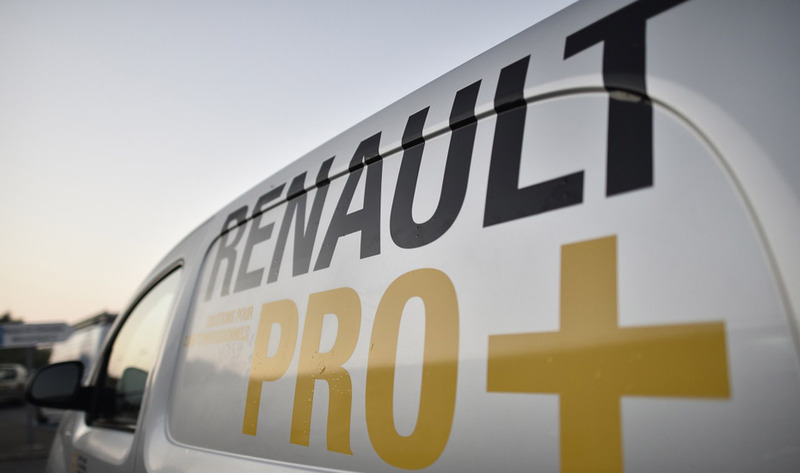 Renault Pro+ as an expert brand is a strong commitment answering our LCV customer’s needs. 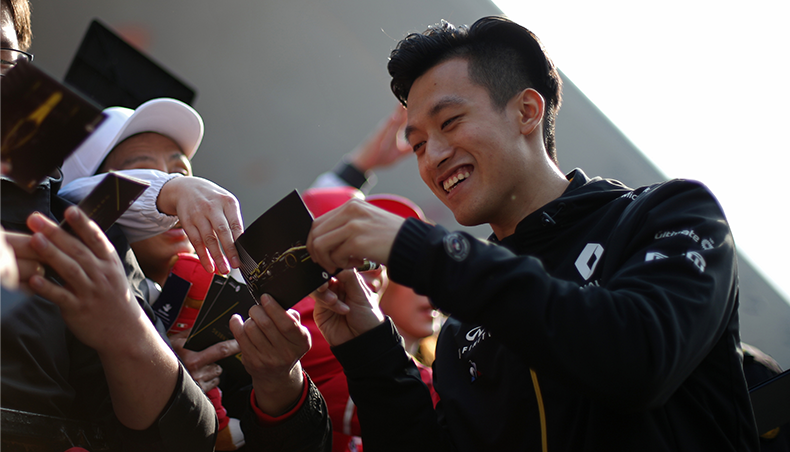 The environment and the experience we are proposing are going to grow richer, capitalizing on our know-how and reinforcing our differentiators in terms of products and services.